Formlabs users are creating incredible prints. From a 3D printed UV cure station to hyper-realistic creatures of the deep, the forums are filling up with awesome projects. We’ve had an exciting start to the year, and we can’t wait to see all of the new projects that come from the new Form 2. See what other users are creating to get inspiration for your next project. Jonathan Fernandini designed an innovative solution to post-curing parts: a 3D printed UV cure station. Fernandini’s industrial design background shows in the cure box’s details. The interior is lined in UV lights, while the container matches the Form 1+ and features a laser-engraved Formlabs logo. 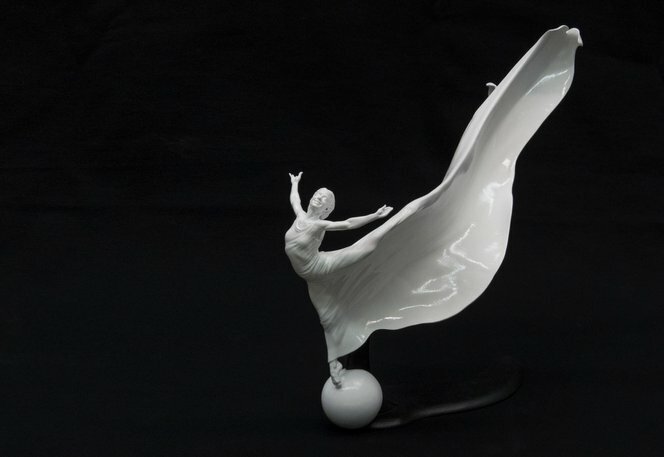 Mattia Mercante wanted to create a physical model of artist Francis Bezooyen’s dancer. Mattia hollowed out and cut the model in order to print the dancer, which ended up being over one foot long. He then added a pedestal shaped like a shadow to hold the beautiful print in a striking pose. Klaus Leitl is no stranger to Formlabs; he previously made very intricate insects using his Form 1+. This time around, he used the Form 2 and printed three prehistoric mollusca models, each measuring about 1.5 feet. Keep the awesome prints coming! Explore what other users are creating and share your own projects by visiting the forums.